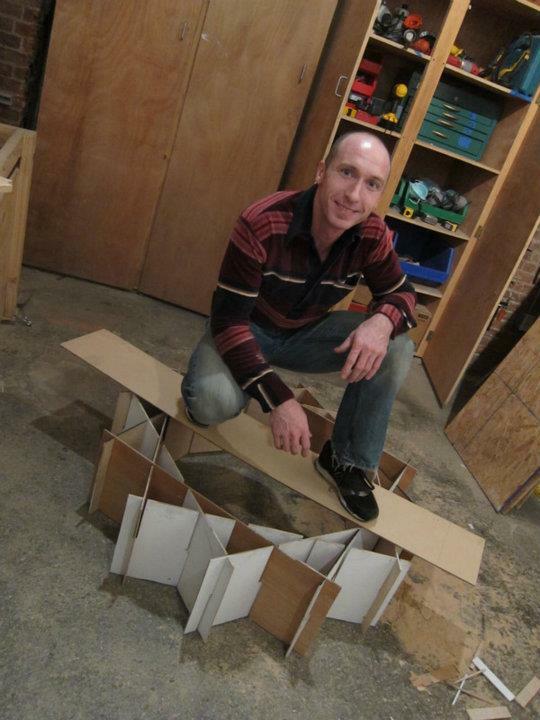 Gabriel Krause is an artist and designer with a forte in sustainable applications. He has developed greywater reclamation systems, solar powered cooling systems, contributed to the development of Appropedia.org, and served as lead designer on The Waterpod Project (NYC 2009). Originally from the San Francisco Bay Area, he has been living in Brooklyn, NY since 2008. Gabriel uses parametric modeling, 3D CAD and unique design methods to manage complex patterns, adapt light and manifest beautiful realities. His most recent line of work has been collaborating with architects, interior designers, and fabricators to create brilliant chandeliers.